This is an excellent body language analysis of George Zimmerman's Nonverbals by another Body Language Expert - Patti Wood. Patti astutely points out some microexpressions in Zimmerman's facial expressions. 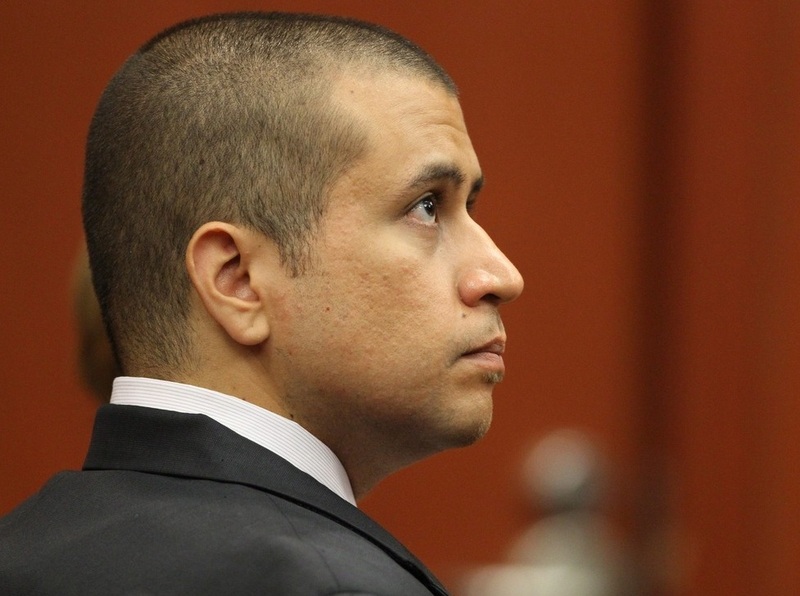 I would also add that Zimmerman's eyes were very widely opened from 0:18 - 0:46, indicating an increased activity of sympathetic nervous system and increased levels of adrenaline. In this context, this "White and Wide" configuration of his eyes indicates fear. Zimmerman's eyelids come together and his central eyebrows lower and come together - at the 0:58 mark in the Clip - in an excellent example of a microexpression of anger. This is very fleeting and lasts less than 0.5 of a second. A slowed down modification of this same segment is seen at the 1:41 time mark. At the 2:23 mark, Zimmerman retracts his head downward (think of a turtle trying to protect itself) and closes his eyes (wanting to erase the pain, a form of psychological blocking - he's emotionally processing his pain). A split second afterwards, Zimmerman again opens his eyes extra-widely in a microexpression of fear.